The taste of victory becomes so sweet for Michael that he can't stop bending the rules to win the camp challenges even as his guilty conscience grows heavy. 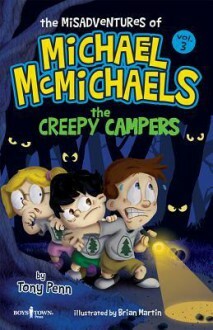 Written for children in grades 1-5, The Creepy Campers forces readers to think about their own ethical choices. Is winning at any cost worth it? Tony Penn's expertly-crafted plot twists and sharp dialogue help children clearly see the many real consequences of cheating and deception.